I am often asked for books to help clients through this time of life; other times I nudge a book into their hands. 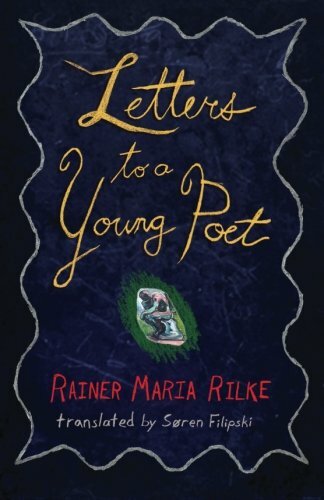 In either case, this may be the book I reach for most often: Letters to a Young Poet by Rainer Maria Rilke. Letters is a short book of correspondence from a 28 year-old poet (Rilke) to a 19 year-old hopeful writer (Mr. Kappus), words which provide balm for the soul of a searching and pained young man. "So you mustn’t be frightened, dear Mr. Kappus, if a sadness rises in front of you, larger than any you have ever seen; if an anxiety, like light and cloud-shadows, moves over your hands and over everything you do. You must realize that something is happening to you, that life has not forgotten you, that it holds you in its hand and will not let you fall. Why do you want to shut out of your life any uneasiness, any misery, any depression, since after all you don’t know what work these conditions are doing inside you? Why do you want to persecute yourself with the question of where all this is coming from and where it is going? Since you know, after all, that you are in the midst of transitions and you wished for nothing so much as to change. If there is anything unhealthy in your reactions, just bear in mind that sickness is the means by which an organism frees itself from what is alien; so one must simply help it to be sick, to have its whole sickness and to break out with it, since that is the way it gets better. In you, dear Mr. Kappus, so much is happening now; you must be patient like someone who is sick, and confident like someone who is recovering; for perhaps you are both. And more: you are also the doctor, who has to watch over himself. But in every sickness there are many days when the doctor can do nothing but wait. And that is what you, insofar as you are your own doctor, must now do, more than anything else." People in Quarter-Life have so much happening in their minds that good novels and food for the heart is often the best medicine. Books that can calm the mind and feed the soul. This is a book that can be read over and over again, used as a tonic or a companion. I cannot recommend it highly enough.